Red Watering Can for Merriment Mini Fairy Gardening. 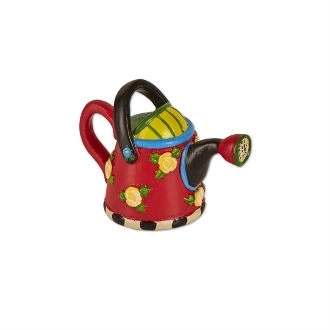 Full Description: This eye-catching mini watering can features all-weather paint and is bursting with color and pattern! Made of resin.